Welcome friends. I have to start today expressing my appreciation for all the nice comments. Thank you very much. 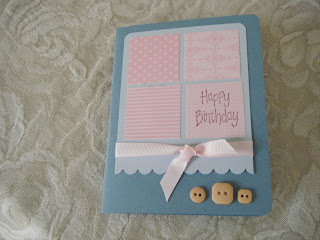 Today for my show and tell (oops it's not Friday), I am sharing the birthday card I created. Clean and simple it was. Maybe it needs some smudging to distress it a bit. What do you think? I made this card late at night. In the morning, I noticed the buttons were not really pink. So, my feelings about how bad the lighting is in my craft room were confirmed. I need to remember to use my Ott Light from now on. Thank you for visiting and for leaving comments. The shopping list follows. Stamp set: single stamp I kept from a retired set. Don't know what I did with the rest of the set nor it's name. See you tomorrow? God bless you. 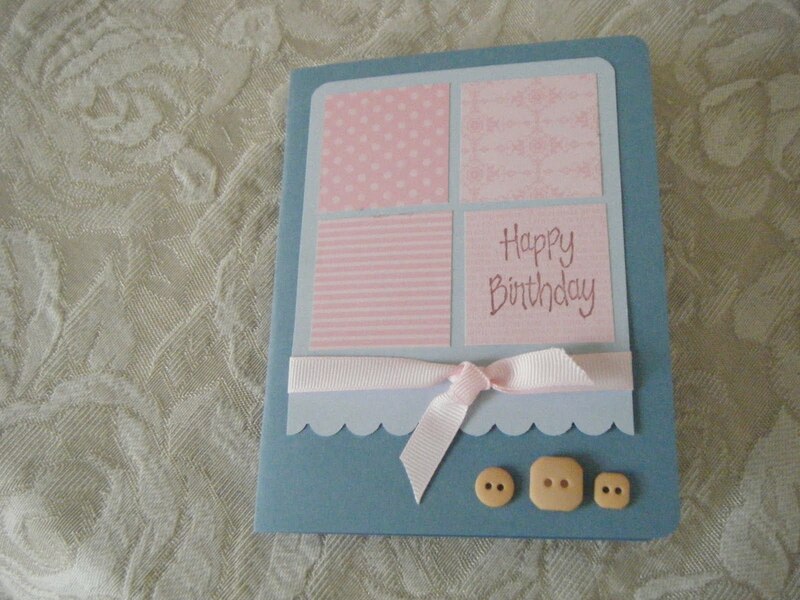 What a cute card and you have so many other cute projects on your blog. I'm your newest follower from the SC discussion. I'm #344 on the list. Thanks for sharing.